And just to round out this week, an old favorite. I posted this before, a long time ago, but I cleaned it up quite a bit since then. If you don’t envy this kid just a little, you probably have no soul. But that’s okay. I’m sure a Bernese mountain dog would be happy to lend you part of his. After all, they seem to have about four times as much soul as they by rights ought to have. 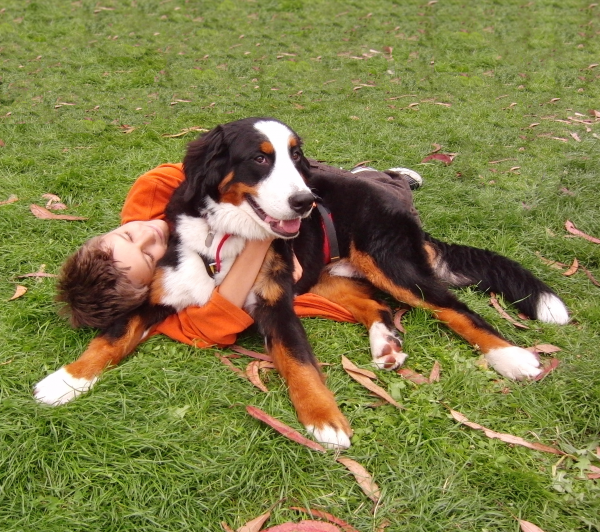 This entry was posted in Dog of the Day and tagged Bernese Mountain Dog, Fort Mason, Marina. Bookmark the permalink. Oh yes! I know envy is supposed to be bad, but I do envy that young man!! Wonderful photographs recently – I love Swiss dogs! Agreed. 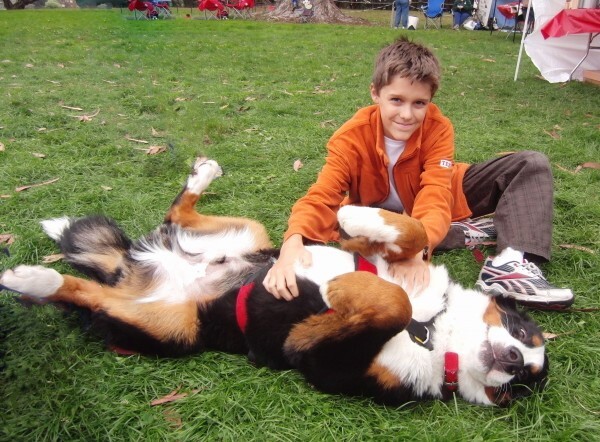 I had quite a happy childhood, at least up through that age, but I can’t deny it would have been happier with a Berner around! of wonderful memories to look forward to. God Bless them both.